A man has been treated for Internet addiction via Google Glass, possibly the first case of its kind. The unnamed, 31-year-old member of the U.S. Navy was using Google Glass 18 hours a day and removing it only for sleeping or washing, according to the Guardian. He also reported agitation and anger when not using the device and "experiencing dreams as if viewed through the device's" small window. While Internet addiction has been treated for a while, it's not part of the Diagnostic and Statistical Manual of Mental Disorders, otherwise known as DSM-5. However, Andrew Doan, head of addictions and resilience research at the U.S. Navy's Substance Abuse and Recovery Program, co-authored a paper on the unnamed patient arguing that it is a legitimate psychological problem. The patient had checked into SARP for alcoholism last year and was also supposed to not use electronic devices. The man "repeatedly tapped his right temple with his index finger" as if he was wearing Google Glass and later said he was "going through withdrawal" from the device. 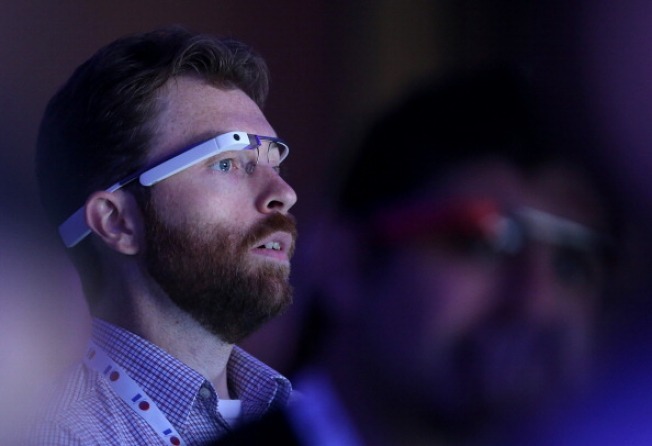 “There’s nothing inherently bad about Google Glass,” Doan said. “It’s just that there is very little time between these rushes. So for an individual who’s looking to escape, for an individual who has underlying mental dysregulation, for people with a predisposition for addiction, technology provides a very convenient way to access these rushes." The patient appeared to improve after 35 days at SARP. He reported feeling less irritable, making "fewer compulsive movements to his temple, and his short-term memory had improved," the Guardian wrote. He was advised to stay part of a 12-step recovery program. While psychologists are still debating whether Internet addiction is actually a psychological condition, the behavioral component can still be treated -- as evidenced by video game addiction boot camp. Those who feel as if they can't stop using the Internet, Google Glass or gaming, should seek professional help.